One thing that’s always fun for us here at IndoTeak Design, is that we get to work with some of the world’s premiere companies. 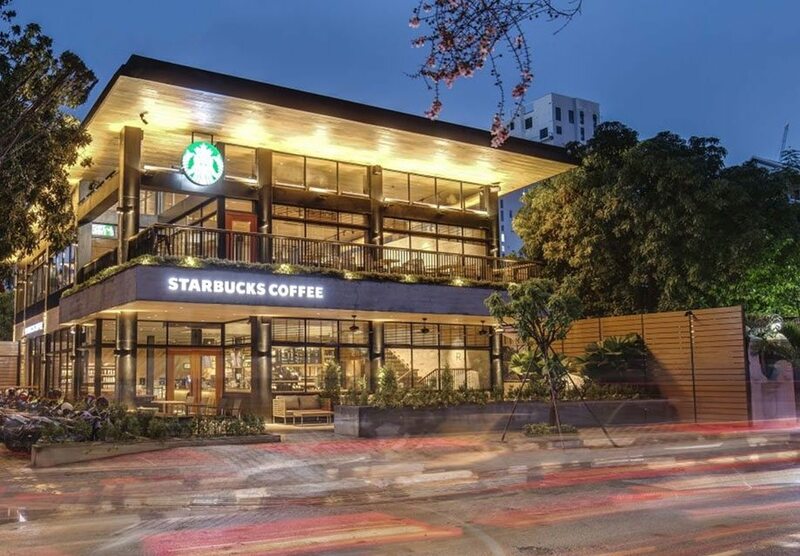 We were recently selected to work with Starbucks designers to outfit the brands new Flagship Store in Cambodia. 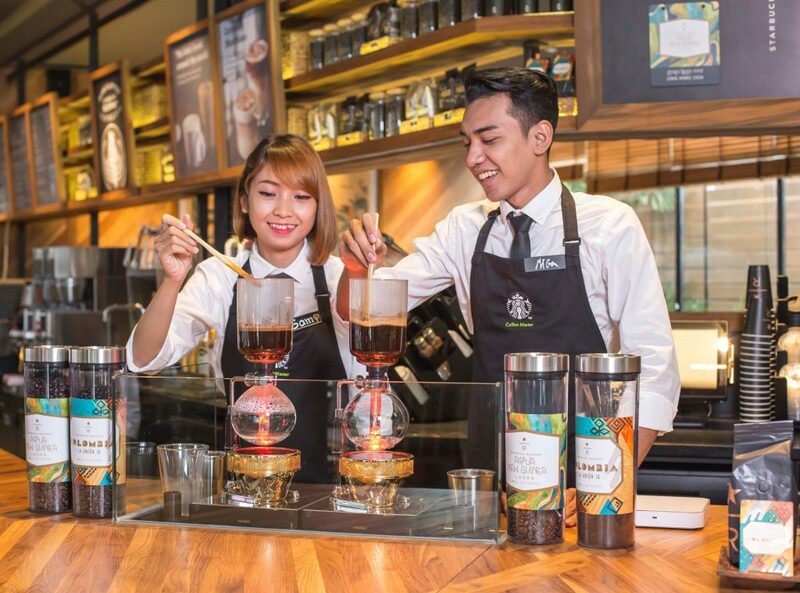 Located in Phnom Penh, Cambodia, Starbucks and its licensed partner, Coffee Concepts (Cambodia) Limited, a subsidiary of Hong Kong Maxim’s Group, are proud to offer residents and tourists alike a Starbucks experience that is totally new and unique. The two-story, 7,000 square-foot store features local craftsmanship, iconic global images and the centerpiece: A hand-carved Siren made of Cambodian sandstone. 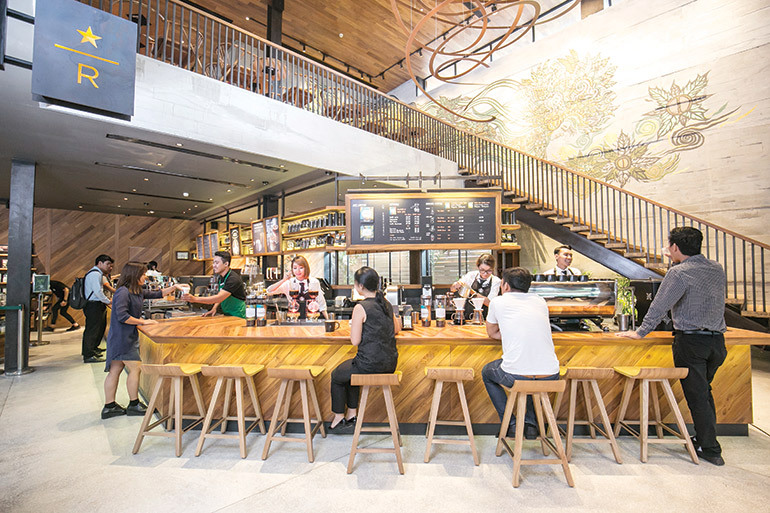 The feel of the Starbucks is unlike any other in the world, featuring the warm, inviting tones of the teak wood along with a coffee landscape inspired tapestry made of fabric tightly woven on a rattan frame, and a metal sculpture hanging over the bar inspired by the coffee aroma. To stand in the lobby is an experience you wouldn’t believe. One of the features that stands out is a hand-painted mural over the staircase to the second floor. It illustrates Cambodian folklore legend Sovann Maccha, the siren princess, that has a tail transforming into two majestic dragons. The piece was Illustrated by prominent local urban artists Peap Tarr and Lisa Mam, the artist highlights the distinct beauty and characteristics of urban Khmer art. The grand opening of the flagship store was on October 8th and by all accounts was a huge success. Not only was Howard Schultz, CEO of Starbucks on hand for the opening, but so was Premier of Cambodia, Hun Sen. This project was one of IndoTeak Designs most rewarding to date. We take pride in offering the finest, rare woods in the world. 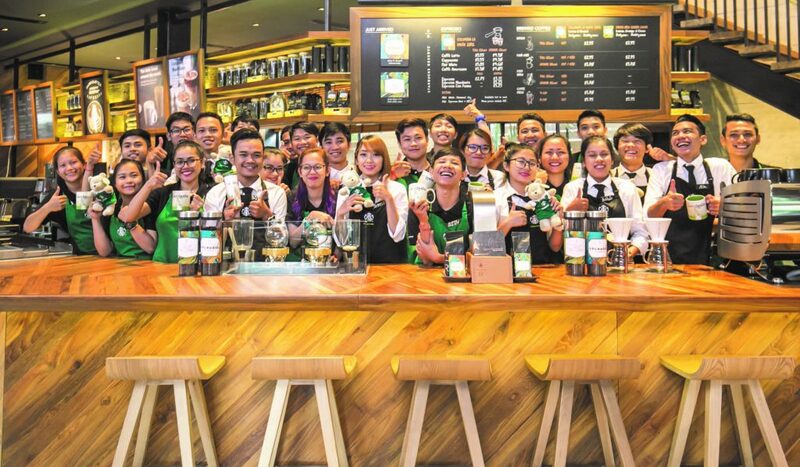 For us to work with a top tier client like Starbucks is a source of great pride and gratitude for our entire staff.